Cancer is one of the most difficult diseases in the world. As a complex disease, the tumor seriously affects the body's immune system, material metabolism and other physiological functions. 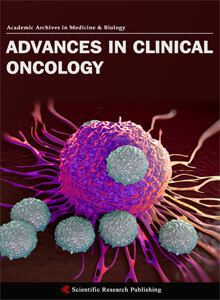 At pre-sent, the treatment of clinical tumors is chemical therapy, biotherapy, immunotherapy and so on. However, drug resistance often occurs in clinical treatment, which is an urgent problem to be solved in clinical. The homeostasis of intestinal flora is known as the organ of the human body. The homeostasis of intestinal flora plays an important role in the organism’s life activities. It has important physiological significance in promoting the digestion and absorption of the host nutrient, maintaining the normal physiological function of the intestine, regulating the immunity of the body and antagonizing the colonization of the pathogenic microorganism. Studies have shown that the imbalance of intestinal flora can cause many diseases, such as intestinal mucosal damage and intestinal inflammation. The mechanism of intestinal flora imbalance and drug resistance has at-tracted great attention from scholars. 韩雨轩, 傅枭男, 丁社教, 等. 肠道菌群与肿瘤的防治[J]. 医学与哲学, 2015, 36(6B): 56-58. 王生, 黄晓星, 余鹏飞, 等. 肠道菌群失调与结肠癌发生发展之间关系的研究进展[J]. 中国药理学通报, 2014, 30(8): 1045-1049. 黄亚, 吴红艳. 肠道菌群与抗肿瘤治疗[J]. 中国免疫学杂志, 2016, 32(12): 1859-1861. 姜艳芳, 魏志, 孙自勤. 中国青年大肠癌发病趋势分析[J]. 胃肠病学和肝病学杂志, 2016, 25(9): 982-987. 伊日贵. 肿瘤侵袭转移机制研究进展[J]. 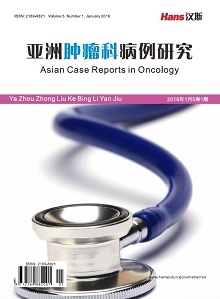 中华实用诊断与治疗杂志, 2014, 28(10): 937-939. 陈芳, 张雯. 肿瘤及肿瘤基质细胞释放的外泌体对肿瘤耐药产生的影响[J]. 中国肿瘤生物治疗杂志, 2016, 23(3): 432-436. 林高阳, 徐克. MicroRNA调控肿瘤耐药的研究进展[J]. 中国肺癌杂志, 2014(10): 741-749. 司鑫鑫, 孙玉洁. DNA甲基化异常与肿瘤耐药[J]. 遗传, 2014, 36(5): 411-419. Wang, Y.L., Wang, B.H. and Wu, J.F. (2017) Modulation of Gut Microbiota in Pathological States. Engineering, 3, 83-89. Zucchelli, M., Leif Torkvist, M.D., Francesca Bresso, M.D., et al. (2009) PepT1 Oligopeptide Transporter (SLC15A1) Gene Polymorphism in Inflammatory Bowel Disease. Inflammatory Bowel Diseases, 15, 1562-1569. 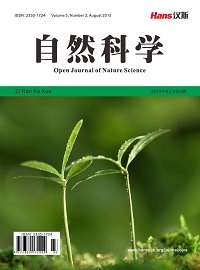 Liu, Z., Qin, H., Yang, Z., et al. (2011) Randomised Clinical Trial: The Effects of Perioperative Probiotic Treatment on Barrier Function and Post-Operative Infectious Complications in Colorectal Cancer Surgery: A Double-Blind Study. Alimentary Pharmacology & Therapeutics, 33, 50-63. 韩晓丹, 张俊伶, 樊赛军. 肠道菌群对肿瘤治疗的影响[J]. 中国肿瘤临床, 2016, 43(22): 1017-1020. Mercadolubo, R., Zhang, Y., Zhao, L., et al. (2016) A Salmonella Nanoparticle Mimic Overcomes Multidrug Resistance in Tumours. Nature Communications, 7, Article number: 12225. Wu, W., Luo, Y., Sun, C., et al. 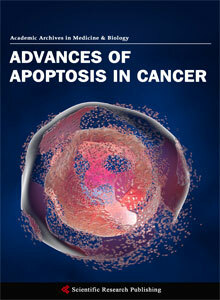 (2006) Targeting Cell-Impermeable Prodrug Acti-vation to Tumor Microenvironment Eradicates Multiple Drug-Resistant Neoplasms. Cancer Research, 66, 970-980. Choi, H.J., Kim, J., Do, K.H., et al. 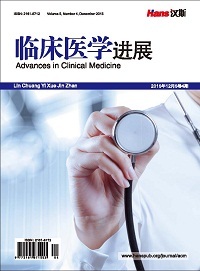 (2013) Enteropathogenic Escherichia coli-Induced Macrophage Inhibitory Cytokine 1 Mediates Cancer Cell Survival: An in Vitro Implication of Infection-Linked Tumor Dissemination. Oncogene, 32, 4960-4969. Hee, L.S., Hu, L.L., Jose, G.N., et al. (2010) ERK Activation Drives Intestinal Tumorigenesisin Apcmin/+ Mice. Nature Medicine, 16, 665. 薛越, 王青青. 肠道菌群与恶性肿瘤的研究进展[J]. 实用肿瘤杂志, 2016, 31(1): 9-13. Nakada, M., Nakada, S., Demuth, T., et al. (2007) Molecular Targets of Gliomainvasion. Cellular and Molecular Life Sciences, 64, 458-478. 陈润泽, 解傲. 肠道稳态与代谢综合征[J]. 中国微生态学杂志, 2016, 28(1): 121-122. Neish, A.S. (2009) Microbes in Gastrointestinal Health and Disease. Gastroenterology, 136, 65-80. Mccoy, A.N., Araújo-Prez, F., Azcrate-Peril, A., et al. (2013) Fusobacterium, Is Associated with Colorectal Adenomas. PLoS ONE, 8, e53653. 于大中, 郭芳芳, 房静远, 等. 具核梭杆菌通过调节自噬促进大肠癌产生化疗抵抗[J]. 中华内科杂志, 2017, 56(12).